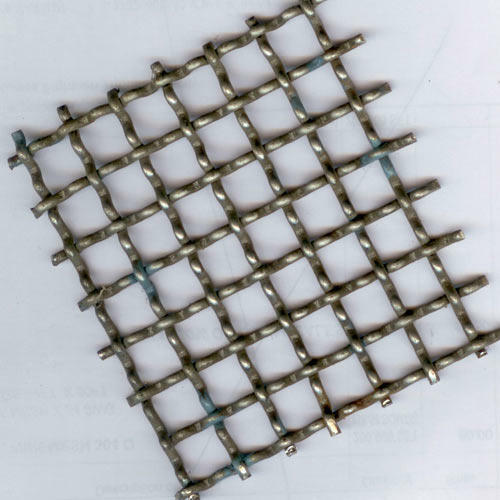 “HMB” Crimped woven wire mesh is made of high quality is a manufacturing in Ferrous & Non Ferrous Metal . It has various weaving method, such as the double crimped, flat top crimped, intermediate crimped and lock crimped. The crimped woven wire mesh has square opening and rectangle opening, which has different wire diameters and applications.The pre-crimped weaving method can assure the accurate open area and make the structure stability and smooth.The crimped woven wire mesh has various applications. The heavy duty crimped woven wire cloth can be used as vibrating screen in the mining, coal, crusher and other industries. The light crimped woven wire mesh with thinner wire diameter and small opening size can be used as Grilled Wiremesh, pig feeding, protective fences for the equipment and stairs. Flat top crimped, also called pressed crimped, is made from round and profiled plain weave wire. All the mesh knuckles is being on the underside. The structure is very heavy and durable. The smooth surface is the characteristic of the weaving method. This structure can allow the materials to move more freely over the screen. It is widely used in the vibrating screen. Lock crimped is a refinement of the intermediate crimped. It can lock the wire at their position through pressed at each side of the raised wire. This structure can add the stability of the crimped woven wire mesh. Double crimped is also called plain weave. Different from the intermediate crimped, both the warp wire and weft wire are woven directly by straight wire. We can get a rigid construction through evenly crimp in warp and weft wire. The wires are under crimped and sprung together thus giving a tight mesh. This is used mainly with lighter wires to ensure tension in a light screen. Intermediate crimped can be divided into single intermediate crimped and double intermediate crimped. The single intermediate crimped means the weft wire is pre-crimped and the warp wire is directly woven. The double intermediate crimped means both the weft wire and warp wire is pre-crimped and then woven together. Using the precision machine, the intermediate crimped wire is pre-crimped by the rotary dies. The pre-crimped wire can assure the spacing of the wires. When the wires are woven together, the structure can ensure the wires will lock firmly together at the intersections. 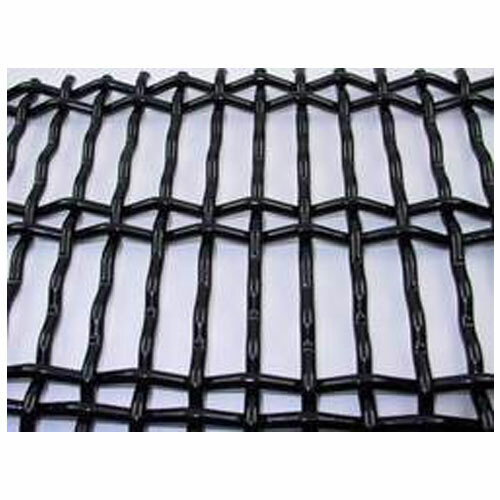 Double Crimped Wire Mesh is woven after crimping evenly in warp and weft, thus, assuring a rigid construction. The crimped wires are sprung together to give a tight mesh. 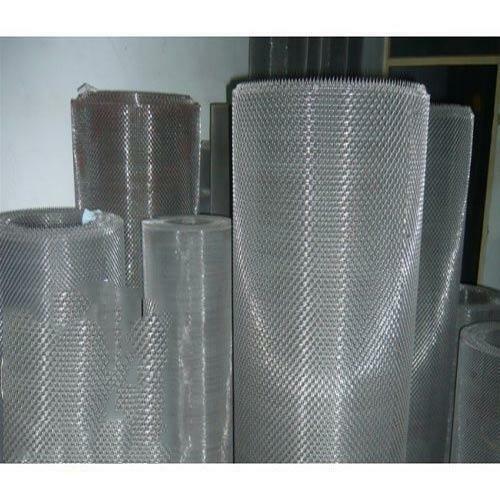 Moreover, this wire mesh is mainly used with lighter wires to ensure tension in a light screen. It is in great demand in the construction industry for reinforcing concrete and paving. 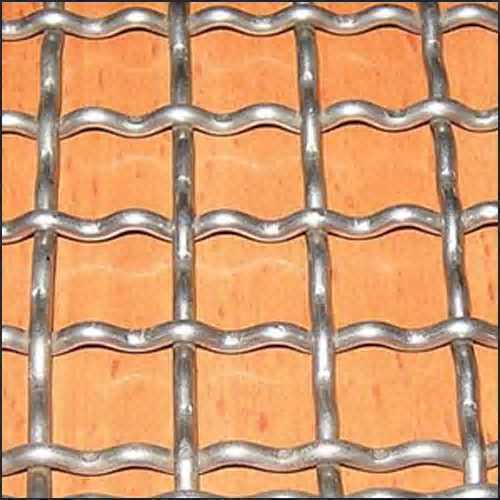 Industrial Crimped Wire Mesh is specifically made for these industries where sieving is required. For separating the finest particles of fertilizers, chemicals, cement and pharmaceuticals, number of screens are generally put in series. 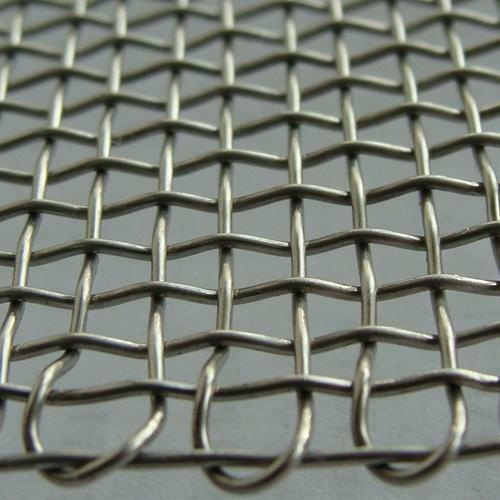 Stainless Steel Screens are widely used in industries for roasting and sieving work. Available in different weaving patterns and stainless steel grades, these screens are high in demand for their excellent sustainability in the industries involving conditions like cold, heat, solvents, liquids, chemicals, and even sand and filter media. HMB Double chute weave wire mesh is widely been used because of it’s beneficial properties for industrial applications and architecture. 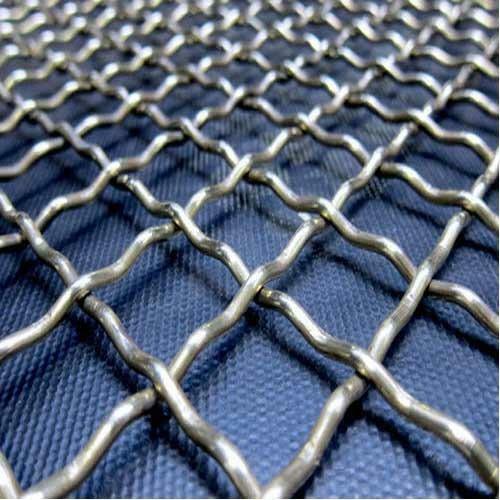 Stainless Steel Wire mesh can resist severe circumstances like; low/high temperatures, high pressures, acids, alkaline solutions, easily be fabricated with various weaving types in the weaving loom, and also have hygienic characteristics ,easily clean ability ,can withstand various weather conditions and have a highly aesthetic appeal,highly durable and can withstand severe circumstances over a longer period of time. We guarantee that our stainless wire mesh have advance weaving technology,long wear life and international quality standard. to do the best quality commodity to our customer.